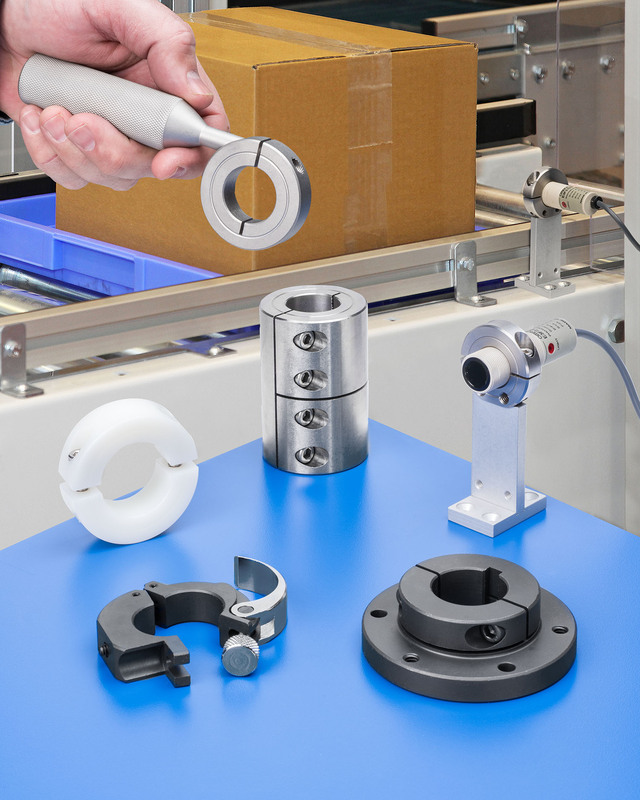 A standard line of shaft collars, couplings, and mounts developed to make it easier to design and build packaging machinery and systems is available from Stafford Manufacturing Corp. of Wilmington, Massachusetts. Providing a rigid permanent stop, spacer, and shaft mount or an easily adjustable solution where required, Stafford Shaft Collars, Couplings and Mounts are made from aluminum, steel, stainless steel, and plastic in sizes from 1/4” to 6” O.D., depending upon the part and material. Collars come in one-, two-piece, and hinged designs, couplings in one-, two-, and three-piece, and a full range of options and finishes are available.